When Rebecca joined MRN in 2014 as Senior Costs Draftsman, she brought over a decade of immense legal costs experience. Vastly complex and high value matters of Commercial Litigation are Rebecca’s core strengths, motivated by the wide range of demanding challenges that are presented within these matters. She is particularly knowledgeable in issues of recoverability in Commercial Litigation claims and retainers. Furthermore, she has great experience in Solicitor/Client work, being able to assist from the client’s perspective to provide advice and resolve disputes. By taking the time to explain the work being carried out on cases and welcoming new clients to the processes and procedures of MRN, Rebecca is able to build sincere professional relationships. Through this, she is able to build a trusting rapport with open communication channels by proving to her clients that she is genuinely on their side and is easily accessible to answer any queries. Rebecca understands that one size does not fit all when it comes to legal costs and is motivated by the challenges and complexities that each individual case brings, striving to produce results that reflect her client’s effort. Although Rebecca joined the team with a diverse background in costs, she believes the open environment and unique approach of MRN has allowed her to expand her knowledge and refine her methods as the team openly share insights to assist each other’s growth. In her time as a Costs Draftsman, Rebecca has worked on many notable cases including an on-going matter regarding high profile parties misselling financial claims with a £45 million costs projection and a highly complex matter with the Bill of Costs exceeding a million pounds. She has also assisted on the four-year long matter of Blankley v Central Manchester and Manchester Children’s University Hospitals NHS Trust regarding the frustration of contracts. In a high profile claim relating to company fixing their profits, Rebecca prepared a Costs Projection Plan worth in excess of £4 million to assist with the potential planning of the litigation. She is currently preparing a Statement of Costs involving the interest rate misselling swap claim worth in excess of £55 million. 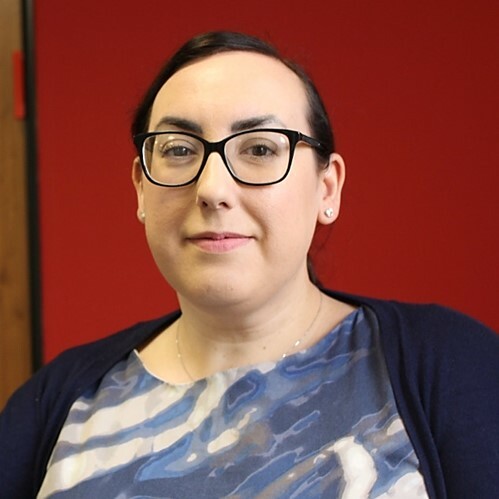 Because of Rebecca’s vast history in costs, she has successfully hosted multiple seminars to provide advice on relevant and timely issues, some of which have included Solicitor/Client matters and Proportionality. The majority of Rebecca’s free time is happily consumed by her very large family, spending weekends to adventure and explore new places together!